Four plainclothes patrolmen walked into Al Morse's establishment in the middle of the afternoon. It was a Friday in late summer 1944. They walked out with tables, chairs, cash boxes, playing cards and 52 men in handcuffs. The gamblers were charged with misdemeanors. Harry Shulman, the joint's manager, was charged with running a gambling club — a felony. The raid of the illegal gambling den in downtown Spokane grabbed hold of the public's attention and sucked up several days' worth of front-page ink in the daily papers. It would cost three of the officers about two weeks' pay, and almost ended the career of the fourth. 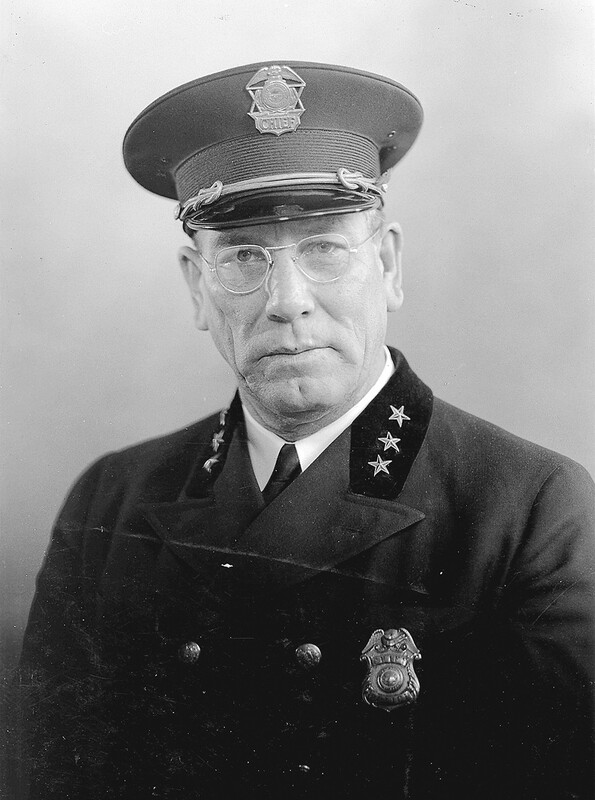 Instead, the raid was the downfall of Spokane's longest tenured police chief, Ira A. Martin, who joined the Spokane Police Department in 1917 and resigned nearly a month after the raid, ending 27 years with the department. Martin's decision to suspend the officers who led the raid turned the police department on itself, pitting some of the rank and file against their commanding officers. The decision also confounded some members of the public, who wanted to rid their town of the apparently well-known, yet tacitly condoned, gambling dens. "I always have, in my 27 years of service, lived and worked under the civil service rules and police manual," Martin told the Spokane Daily Chronicle after his resignation. "And if they want to tear out a few sheets, I don't feel that I want to serve any longer." Patrolman William Schussler led the four-man crew into the club at 425 West Main St. around 2 pm, but didn't tell his bosses. By 4 pm, according to news reports at the time, all four rogue cops had turned in their badges and guns. Three of the four were suspended for 15 days. Schussler, the ringleader, was charged with insubordination and conduct unbecoming, and given a "permanent suspension." Police brass also accused him of shaking down known proprietors of other known gambling establishments, and even doing a little betting himself while on duty. Schussler appealed the sanction, and the public was outraged. News reports show an "overflowing" Civil Service Commission hearing in the council chambers at City Hall. Church organizations even wrote letters to Schussler and then-Public Safety Commissioner A.B. Colburn in protest, demanding "that the public shall be fully informed concerning the background of recent happenings in your department." To Schussler, the church groups wrote: "We feel that you are perhaps the one man in this city who can throw light on the background of all that is happening." Similar to a more contemporary charge of insubordination at the SPD involving the unauthorized movement of office furniture, the public pointed to the obvious: Why punish this cop for doing what he thought needed to be done? During Schussler's appeal hearings, he asserted that his bosses knew of the gambling around town, but were doing nothing to stop it. He said that's why he didn't tell them; Schussler claimed he was trying to "clean up the city." But the rules, Martin and Colburn argued, were the cornerstone of an effective police department — the only line between order and chaos. Schussler's permanent suspension was eventually overturned, and Martin resigned, forgoing his monthly salary of $315 for $125 a month in pension pay. As for the gamblers? A handful were either acquitted or the charges against them were dropped, and 31 men initially failed to appear in court. Five dealers and three gamblers were found guilty, and each were sentenced to 30 days in jail. Each of the gamblers were fined $6.50 — about $90 today.